With Granite, after we´ve decided to not accept "there is nothing that can be done for him". July 2012. Yes, actually, the more I think about it, the more experiences among humans and among my dogs I have, the more clear and obvious the connection between health and happiness is to me. My beloved Granite has been fighting with a mysterious illness since the end of winter. While his story is rather long and quite mysterious, and his recovery when we were told he´d live only few weeks at most is nothing less than magical, he is experiencing a relapse right now, after 3,5 months of going stronger and happier. While his actual story is a subject for my other article I am preparing, here is one amazing result I have experienced with Granite and treating him with Bach Flower Remedies. To make the long story short for you to understand at least a few facts, we have taken Granite off the conventional medication three and half months ago. Few days after hearing the prognosis and seeing his liver, damaged by cirrhosis, we had nothing more to lose. And once realizing this fact, knowing my beloved dog all too well since the moment he entered this world and life, I remembered the connection between physical health and the state of mind. It suddenly became obvious to me that his trauma comes from within and that his soul needs to be cured. The first blend of four Bach Flower Remedies (Olive, Crab Apple, Wild Rose and Sweet Chestnut) showed significant impact only after a bit over week of application. It allowed me to cut off the diuretics completely, and Granite started to get back to life - gaining weight, muscles, appetite, and most importantly happiness. He started to accompany us on puppy walks, which we gradually prolonged. Over a month of Bach Flower Therapy put him back on track and no one would ever guess what he´s been through. Two more months have passed, this time without using the remedies and Granite was doing great, except for his low tolerance of Jachym´s trips back and forth to and from his job. And that actually became something Granite´s fragile and from deadly disease recovering soul and mind could not take on. I blame myself for not continuing with the therapy longer. Few days ago, Granite started to show signs of depression. They were physical and behavior natured. Realizing my mistake and once again, remembering the connection between mental and physical health, and Dr.Bach´s wise quote above, I immediately composed a new mixture of five remedies for Granite. This time it is Olive, Crab Apple, Gentian, Honey Suckle and Walnut. One of his biggest issues has always been to express any kind of trauma. He would be ice cold on the outside, with a wild heartbeat inside, telling there´s something going on, with no evidence on the blood test sheet. Agrimony was the first remedy I reached out for and gave Grantie a few drops during the first two days. The second day, he expressed his emotions twice - once by "wooooing" from excitement to see me come home from outside chores, the second one when we were about to go for a walk. He had never, in his six years of life, expressed his emotions out loud. So, our journey continues. Granite won´t give up. That is why he is such a special dog. That´s why I love him so much and I feel it is my top priority to help him in any way I can. It has always been my top priority to take care of my dogs and often go beyond the commonly known "borders". That´s what allows me to be the best care taker of my dogs I can. It is very hard for me to write this post. First of all, because Grantie is experiencing a relapse and that alone is very tough. Tough on him, on me and tough for not knowing how things will develop. Secondly, it is a very unique experience all along. It is hard to put it all in a nutshell. Most importantly, I want you, dear readers, to know, that I decided to write this to hopefully help out others, who or who´s animals suffer from unknown illnesses, depression, stress and other related health issues, that the modern science often does not acknowledge. I am sharing this to let you know that there are cures out there and that one should never give up. There are many solutions, although often they require thinking out of the box and out of the conventional and common "this is how things have always been done, no differing" way. 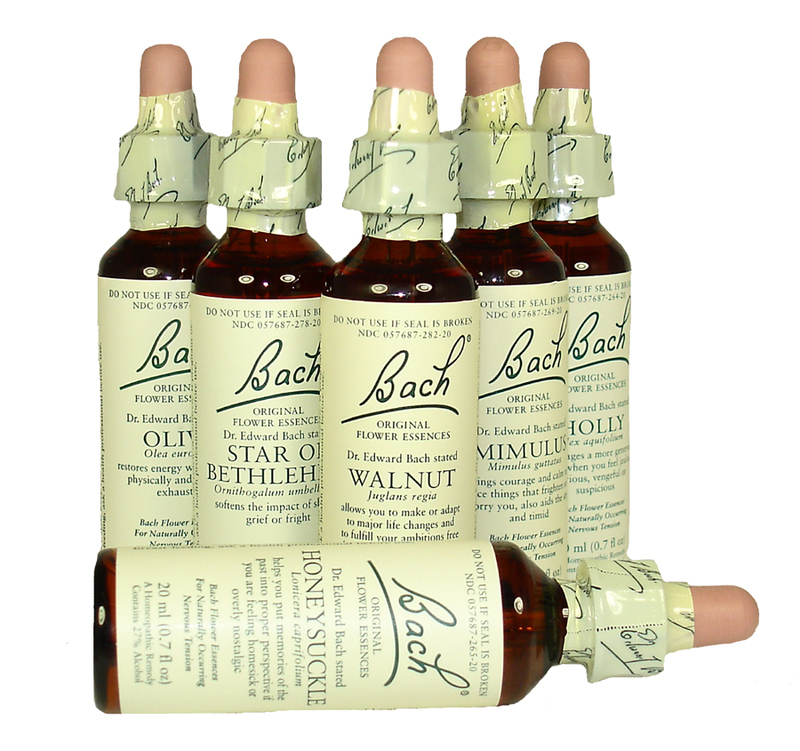 I have used Dr.Bach´s therapy for myself, my partner, my friends and their dogs, and mainly for my dogs, for years. The philosophy behind the Flower Remedies is amazingly simple and beautiful, highlighting the importance of mental health and it´s influence on the body. 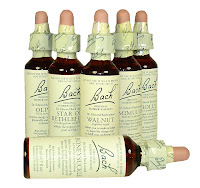 So if you ever search for natural cures that heal the mind and thus the body, or if you were told there is nothing more that can be done, check out Bach Flower Remedies. 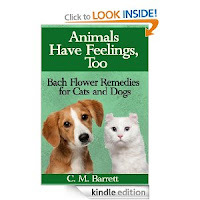 You will be surprised how many similarities between your own (or your animal´s) daily struggles and feelings and those described within the 38 healing remedies you will find. There are two excellent books I always keep handy and use as my Bach Remedy bible, that I recommend to read. 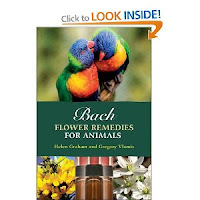 The first one is called Bach Flower Remedies For Animals by Gregory Vlamis and Helen Graham. By purchasing it on Amazon, you will help to support my blog and dog team, and in this case, most importantly, Granite´s treatment. Here is the link. 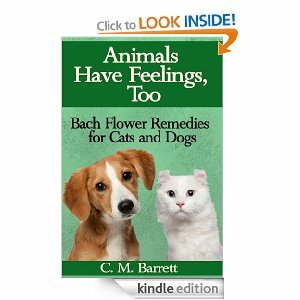 Another great read is Animals Have Feelings, Too: Bach Flower Remedies For Cats And Dogs by C.M.Barrett. You can buy it also on Amazon, here. If you like this post, if you find Granite´s story and our experience with Bach Flower Therapy beneficial and useful to you or your friends, please don´t keep it for yourself and share it with others. Thank you! Wishing you all - two and four legged, the best of health and happiness! Thank you, Katrina, for this helpful information. I too have had to step outside the box in dealing with a mysterious and insidious illness that came and went and which finally tested out through a specialized lab to be a toxic combo of Lyme disease and several co-infections. Bulgarian Rose Oil became our life saving treatment over the next two years and we have been completely cleared, thank God. The therapeutic, steam distilled rose oil gave almost immediate relief from a laundry list of frightening symptoms and welcome relief followed by total healing. We continue to use rose oil on an ongoing basis to keep us whole. Thank you for sharing this. I too believe that there are some instances where science doesn't heal all. Just noticed that you visited our blog awhile back. My dogs are all rescues and 5 of them are from the Fairbanks Animal Shelter in AK. We are a recreational mushing kennel and have been involved in mushing for 20 yrs. I agree with you on using herbal remedies. I have done that myself with several of my dogs. It is amazing what you can do for them when you don't let conventional thinking limit you. Hope you stop by again and I will be following your blog also.